President Peter Mutharika on Friday rebuffed the civil society organisations (CSOs) to personally receive a petition from them after nationwide anti-government protests of the social, economic and governance ills Malawians are facing. High Court Judge Charles Mkandawire in an order given to the Human Rights Defenders Coalition (HRDC) ruled that President Mutharika should personally receive the petition. But Chief Secretary to the Government, Lloyd Muhara said President Mutharika was preparing to leave the country as scheduled for New York to attend the 73rd United Nations General Assembly (Unga). Instead the Lilongwe City Council Chief Executive Officer (CEO) Moza Zeleza received the petition at Capital Hill on behalf of the President after midday. Leader of opposition in Parliament Lazarus Chakwera who endorsed the CSOs cause, joined the protestors in Lilongwe clad in a red t-shirt. Chakwera, who is also Malawi Congress Party (MCP) president, said he was in agreement to concerns raised by the petitioners on issues such as deterioration of basic services like blackouts, high rate of unemployment and the general decay of the state of governance. 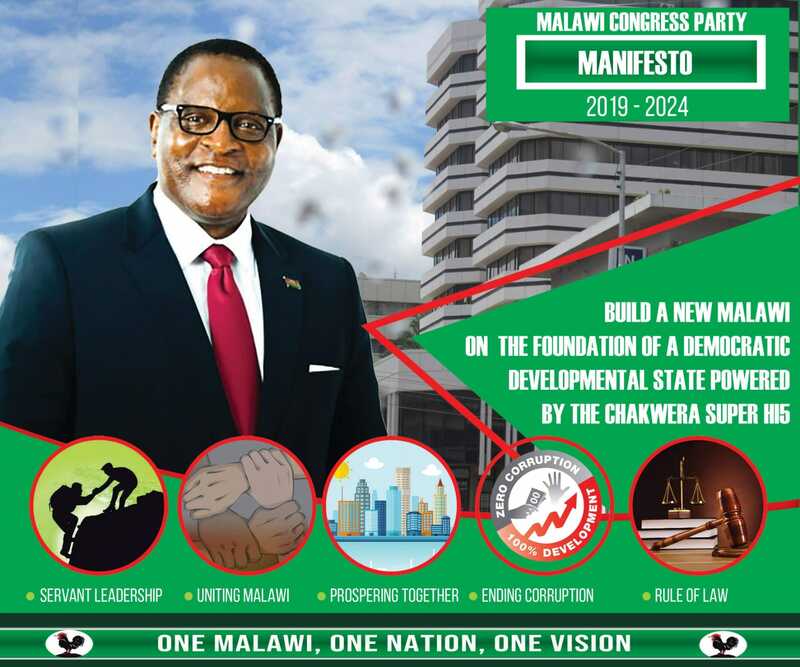 “Come May 21 2019 Malawians have a golden opportunity to change leadership through the power of the ballot,” said Chakwera. In their petition seen by Nyasa Times, the CSOs accused President Mutharika for not coming to face them at a dialogue meeting and not receiving the petition. “As Civil Society and all Malawians of goodwill, we are at pains to learn that a servant can have the audacity to refuse to meet his employers in order to account for how he was using the powers to govern on their behalf,” it reads in part. Organisers of the demonstrations have issued assessment of a 10-point petition in which the HRDC demanded that President Mutharika should cancel the appointment of Rodney Jose as Inspector General of Police and wanted the Electoral Reforms Bills to be re-tabled in Parliament in their original form as recommended by the Law Commission, saying since the April 27 petition there has been inaction . They have also noted inaction on demands for the cancellation of the K4 billion payout to parliamentarians, resignations or firing of Cabinet ministers Goodall Gondwe (Finance and Economic Planning) and Kondwani Nankhumwa (Local Government and Rural Development) for their role in the payout, and for the Anti-Corruption Bureau to investigate the payout. The demonstrations held under the theme ‘Restoring our Destiny’, are a follow up to HRDC’s April 27 ten-point petition against poor governance which the group claims government did not fully address. The CSOs, among other issues, demanded government to address worsening corruption in the country and theft of fuel worth K 1.9 billion at Electricity Supply Corporation of Malawi (Escom). The Democratic Progressive Party (DPP) administration has also been challenged to free taxpayer-funded Malawi Broadcasting Corporation. In the fresh petition, the CSOs said they are concerned with the “sad reality” that many prominent cases bordering on corruption in DPP government are not being investigated and that suspected culprits are not being prosecuted. It cited remarks by Director General of the Anti-Corruption Bureau (ACB) Reyneck Matemba recently that all government Ministries, Departments and Agencies (MDAs) citizenry are rotten with stinking corruption. The activists also said government has failed to achieve substantial progress in job creation, its few efforts in form of provision of youth loans are politicised and only serve to benefit those connected to the ruling party. “The recent introduction of the government internship programme is not a lasting solution to the challenge of youth unemployment as internships are not full time jobs. We demand your government to come up with practical solutions that will keep the youths in gainful and permanent employment and in- come generating ventures – steps that are sustainable,” reads the petition. In the petition, the CSOs said the DPP government has lost the legitimacy to govern and as such Malawians have the powers to decide whether to remove it from office or not. 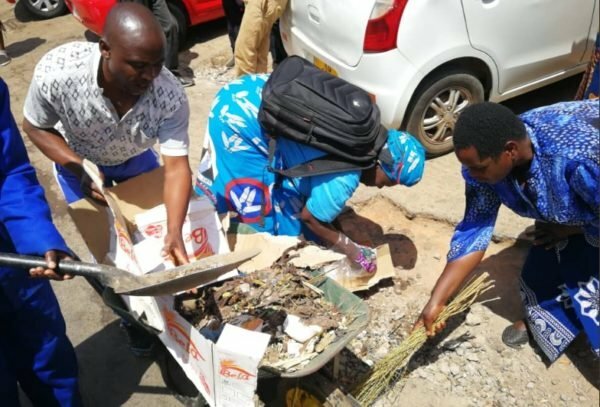 In Mzuzu, protesters refused to leave the High Court Roundabout asking why police and City Council allowed DPP in the City to clean markets on the day of the march. Mzuzu CEO McLoud Kadammanja told CSOs that his office didn’t authorize DPP to have an activity in Mzuzu. Police then ordered the DPP members to leave the City’s streets and protesters agreed to proceed to the Civic offices to deliver a petition. HRDC chair North Happy Mhango delivered the petition to Kadammanja. Demonstrators in Blantyre delivered their petition to Blantyre City Council (BCC) through Director of administration Lytton Nkata who received the petition on behalf of the Cheif Executive Officer and he promised to deliver the petition to relevant authorities. In Zomba protests were also held peacefully and a petition was delivered at the City civic offices. Munthuyu mukansiya chonchi atipha tonse a Malawi. 71% of Malawians are already languishing in poverty and to make things worse they don’t even know it. It’s difficult for people to know that they are poor because the only environment they have lived in is surrounded by poverty. No wonder it’s difficult for us to believe that we can live better lives. DPP has let Malawians down. Now we have seen that some people are Only Good at Talking.Ziko lonse linamva iyeyu atolonjeza kuti Akakhale Nao Ku Mseu.Ichi chakoma ichi cha koma Fisi Anagwa Chagada.Wekha ku boma wekhaso Ku Opposition. Chilima is a hypocrite. He supported demos at a rally but never showed up. This Chilima is a coward who was hiding behind his Catholic Church. He has no heart for Malawians. He is not a leader at all. As usual, oChakwera is lacking in political calculus: as much as Party leaders have individual rights, they resist in participating in demonstrations that are clearly political and against the opposite Party. This tactic will come back to haunt him, one day. No Leadership qualities here. Aaaah. Chakwera is a Malawian nobody can block him from attending to any demo he uses his freedom.MCP bomaaaaaaa!!!! Macadet mwatoyamba kumvekano mukulimba mtima chifukwa cha kubwera kwa UTM .Motoona ngati UTM izachepesa mavoti a Chakwera ndie mwaupondatu.Wamphwa mtima ndi Chakwera ndi Wa Cashgate. Thanks Dr Chakwera for standing with the people of Malawi. You deserve 17 Million votes. May God Usher you to that No 1 job.